Since 1977, we have been an expert in commercial hard money mortgage loans and will offer the best rates. If you currently own a commercial property, but the property is not acquiring enough income, or your business is losing money, and your credit is poor, commercial hard money mortgage loans are available and easily obtained in these situations. 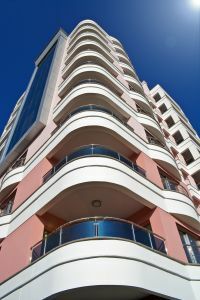 For over the past 31 years, Ocean Pacific Capital has specialized in commercial property backed loans for those difficult to fund property types or special situations that are harder to fund under normal circumstances, such as bridge loans. While these requirements differ between lenders on loan to value ratios, property values and types, it is best to work with someone who has the experience and access to over 130 different lenders to obtain the necessary financing that you need. Properties become an important aspect in obtaining financing as commercial hard money mortgage lenders need a source for repayment. Therefore, if the borrower does not commit to the payments of the mortgage, the hard money lender will be forced to forclose and sell the property as collateral. Most commercial hard money mortgage loans are short-term; however, depending on each case, longer terms are available. We offer commercial hard money loans starting at $500,000 and up. To get started on this process today or for more information on how we can exceed your needs, email or call our commercial loan specialists today.